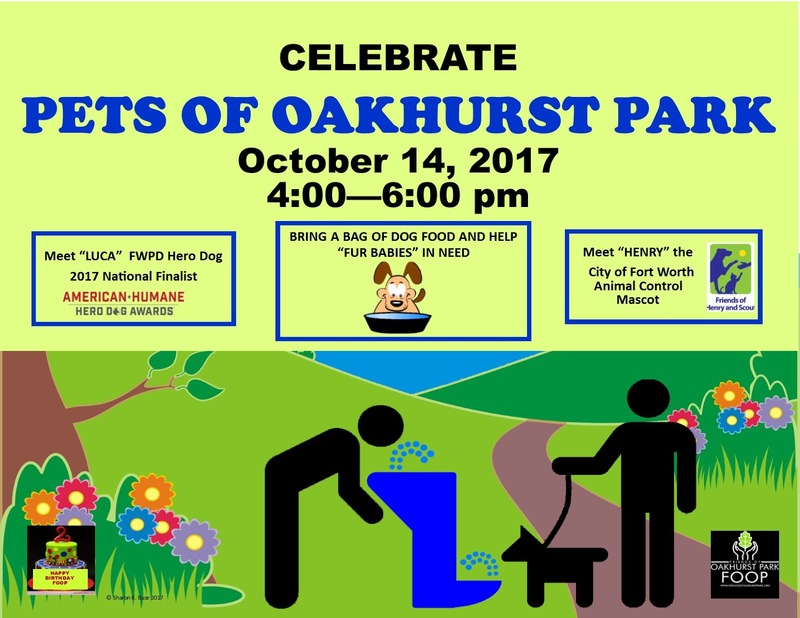 Oakhurst Neighborhood Association, Fort Worth, Texas: 10/14: "PETS of Oakhurst Park"
You are invited to bring your "fur baby" and help celebrate PETS OF OAKHURST PARK, October 14, 2017, 4-6 pm! 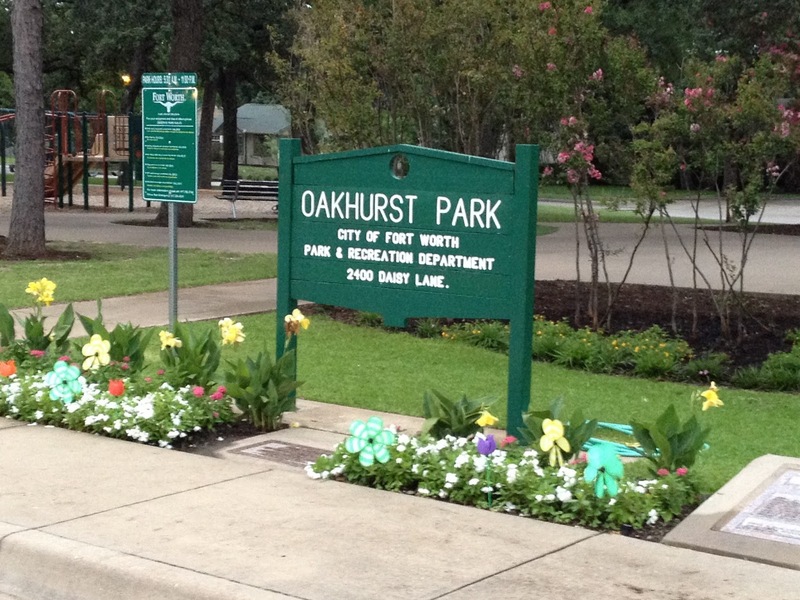 Thanks to the incredible public/private collaboration between Friends of Oakhurst Park (FOOP) and City of Fort Worth Park Department, Oakhurst Park now has an amazing new drinking fountain with pet and ADA accessibility! So, please accept our invitation! Come check out the new water fountain and celebrate FOOP's 2nd Birthday. Bring the kids to meet "LUCA", the FWPD 2017 National Hero Dog finalist, and "HENRY", the City of Fort Worth Animal Control Mascot! 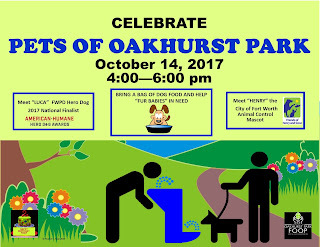 Have your "fur baby's" photo made; play in the park; enjoy kids crafts; hunt for "Oakhurst Park Rocks"; visit with neighbors; and eat a slice of FOOP's birthday cake! 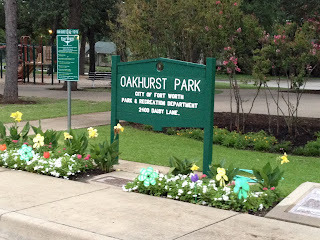 Friends of Oakhurst Park is an independent organization; click on the link above to visit the FOOP website. FOOP is also on Facebook.